Experience Inc. has such a groove going on when it comes to dungeon crawlers. Of course, as a specialist in the genre, you would hope that by now it was able to do the 'crawler justice, but this developer does far more than that; when you consider Demon Gaze and Stranger of Sword City, it’s difficult to imagine a developer pushing the boundaries of the genre more than this one. Related reading: Also recently released is Experience Inc's excellent Stranger of Sword City. Matt's review of the PlayStation Vita version. 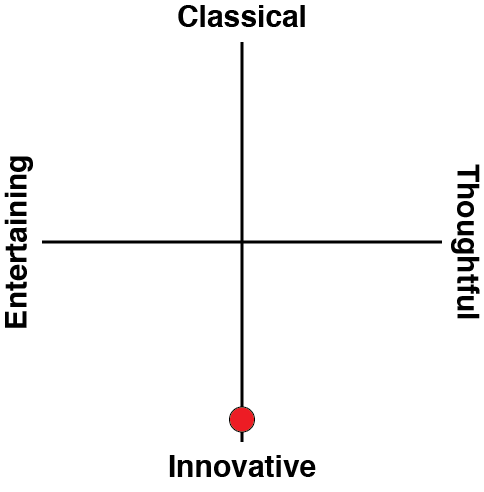 Indeed, in a genre that overwhelmingly rewards tradition – consider the successes of relatively safe genre plays such as Etrian Odyssey and Persona Q – Experience Inc. is really throwing itself out there with the mechanics, themes, and design choices that it’s working with. And then there’s Ray Gigant. If you were to imagine that there was a textbook on “how to create a dungeon crawling JRPG,” and then you were to imagine that the team at Experience Inc. took that textbook, set fire to it, and then scattered the ashes across all the oceans in the world, you might have the conditions that led to Ray Gigant being developed. This is, truly, one of the most original and innovative dungeon crawlers that you will ever play. Let’s start by the utterly fascinating reality that there is no random encounters in this game… which may well be a first for Japanese dungeon crawlers, and it completely changes the very role that combat has in the game. Every enemy battle is positioned in specific, pre-set places within the dungeon, and many of them are avoidable if you choose to. Leave a dungeon and come back, and those exact battles are replaced back where you left off. You might as well miss quite a few of these battles as you explore, because characters don’t accumulate experience from battles, and if they’re injured, they emerge from the other side completely rested and ready to run into the next battle. If all that makes it sound like battles are a bit of a waste of time, then that’s because in terms of traditional JRPG structures they are. There is very little of the sense of earned progress that people are used to when it comes to battling enemies. There’s still resources that are acquired after defeating enemies, and those resources can be used to develop the skills and abilities of the characters, but when compared to a traditional experience-points-and-level-up system, it feels both limited and slow going. The closest I can compare it to is Final Fantasy X, although that game still did have an experience point system of sorts... it was just one that you needed to manually develop. Here, though, character development simply is not the goal of the combat. "So why have combat at all?" I hear you ask. 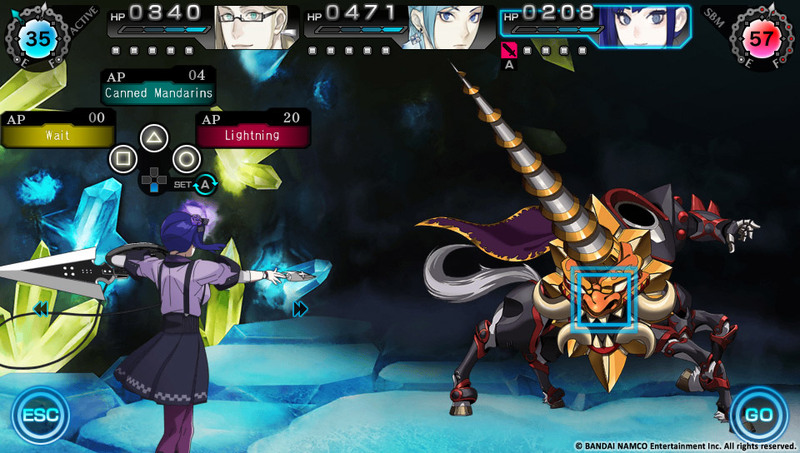 There’s a couple of reasons that combat ends up being so effective in Ray Gigant, even if the rewards that come from it are not what you typically expect. On a basic level, the positioning of enemy encounters around a dungeon make them part of the level design themselves. Puzzles are built around trying to avoid the most difficult enemy encounters. The battles themselves have a heavier focus on puzzle solving, too, with a very limited ability to grind yourself into a position of superior power, you’re going to need to approach each battle with a degree of caution and anticipation. 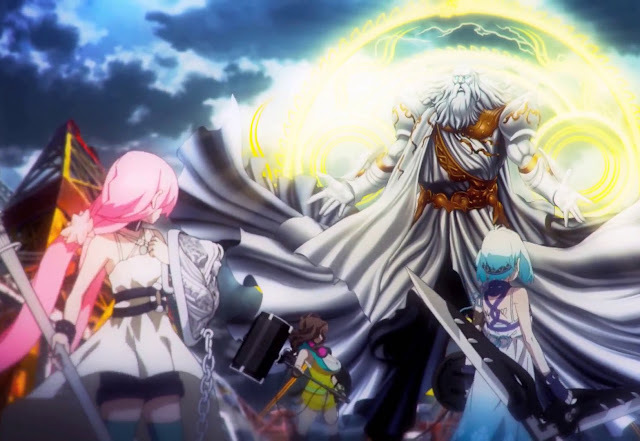 As a veteran of the JRPG genre, anything that manages to change the very role that combat has within the experience deserves some serious props, and I found myself more involved in Ray Gigant's systems than I have been in almost any other JRPG for years now. In most cases I sit through the "gameplay" to enjoy the story. Here, it's the opposite. I couldn't put this down because I was so wrapped up in how it plays. The nuts-and-bolts of the combat is also very interesting. Playing out in a turn-based fashion, the party has access to a pool of action points that can be distributed across the team – allowing one character that has an advantage over an enemy to take additional turns, for example. But action points run down fairly quickly, and take a while to build back up again. This introduces and risk/ reward mechanic into each battle, where you’ll need to carefully weigh a party’s ability to defeat an enemy against its ability to defend itself if enemies are still standing after the assault. Go too far, and you might spend multiple turns effectively helpless. This system leads to some really classic boss battles, where a steady rhythm can establish itself and the flow of battle feels smooth and elegant in execution. “Rhythm” is an appropriate word, too, as there’s a rhythm minigame held within the combat system. Titled “slash beat mode,” performing well at this, which involves tapping attacks in time with the music, can lead to massive damage for the enemy. These systems all combine to offer something genuinely unique and refreshing, and that’s why it is somewhat disappointing that the narrative isn’t up to the same scratch. This might be partly due to the localisation, which appears to have fallen to some of the same gremlins that afflicted Stranger of Sword City; too often lines of dialogue seem to be compromised from the localiser being too literal with the translation. The narrative is mechanically correct, but the artificiality of how some of the characters speak in translation does let things down a little. The narrative itself has all the potential in the world to be something special. The world has been invaded by monstrous gigants; beings of impossible power that seek to exterminate people and level cities. A small population of humans survive, and are protected by peers who have the power to hurt the gigants through talismans (yorigami) that they “bond” with that form a spirit link between themselves and beings that are of similar power to the gigants. You’re naturally in charge of a small band of heroes that are taking the fight to the gigants. 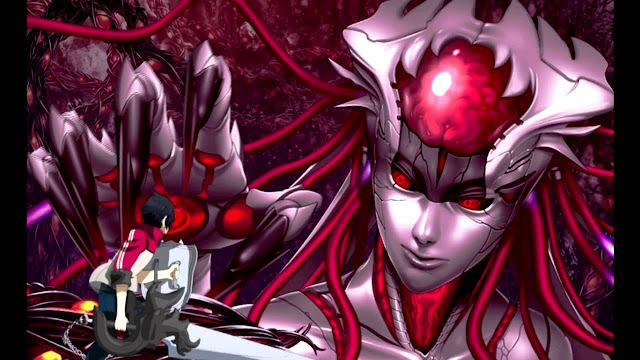 For that potential, Ray Gigant’s apocalypse is not a narrative that we haven’t seen in games before; Conception 2, for example, is very, very similar to Ray Gigant in its overall narrative. That game was very closely focused on the bonds that the male protagonist would make with the female, in order to produce star children with her that he could then take into dungeon battles (yes, it’s as weird as it sounds). 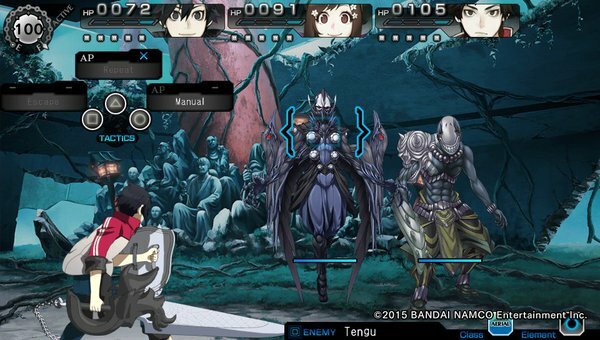 Ray Gigant, meanwhile, is more interested in the personal journeys of the various characters, and indeed there are three main protagonists, each with their own story arc to play through. Conception 2 had a deeper socio-political statement to make in what it was doing than most people give it credit for. Ray Gigant, meanwhile, sits squarely in the middle of a very well-trodden set of anime/ manga traditions that is of cultural significance in Japan, but not something we fixate on nearly to the same extent in the west. Characterisation is let down by a fairly juvenile understanding of men, women, the birds and the bees. It seems that a lot of the nonsense that we endure through the first protagonist's narrative arc, or conversations that women get up to about mundane house chores, is designed to be played for humour and satire, though the localisation means that some of the humour didn’t translate as well as it really needed too. Conversations run on very long, as Experience Inc. wanted this to be a narrative-heavy foil to the typically narrative-light dungeon crawler, so how well you get along with this one is going to depend a great deal on how comfortable you are with the theme, as well as some of the more odd moments that the cast throw up. The art is absolutely breathtaking, and it’s rare that I can truly say that the art will be the thing that truly draws me into the game, but in Ray Gigant’s case, that is absolutely the truth. 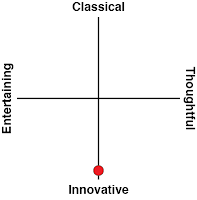 Again, the team at Experience Inc. reinforced its intent to be fundamentally different and creative; enemy design absolutely pops and shows a creativity that goes well beyond even the stellar examples of previous Experience Inc. games. Boss designs are absolutely breathtaking and beyond explanation; they really have to be seen for their scale and gravitas to be believed. As limited as the animation is in these characters, the sheer level of detail and the dynamic poses they take makes discovering each new enemy a genuine joy, and as good of a reason as anything else the game throws at you to keep playing through. Related reading: For a more traditional 'crawler, you really owe it to yourself to play Persona Q on the Nintendo 3DS. Matt's full review. As applies to any game that really tries to innovate within a genre, Ray Gigant will be divisive, and it doesn’t do itself any favours through its sometimes-patchy localisation. Equally, as applies to any game that tries to be genuinely innovative, not everything about Ray Gigant is as refined as games that aim for safer ground. But, as applies to any game that tries to be genuinely innovative, I take all my hats off to Experience Inc. for what it has done with Ray Gigant. This is a breathlessly creative and fundamentally interesting game, and it, along with Stranger of Sword City, cements the developer as one of my favourites out there at the moment.